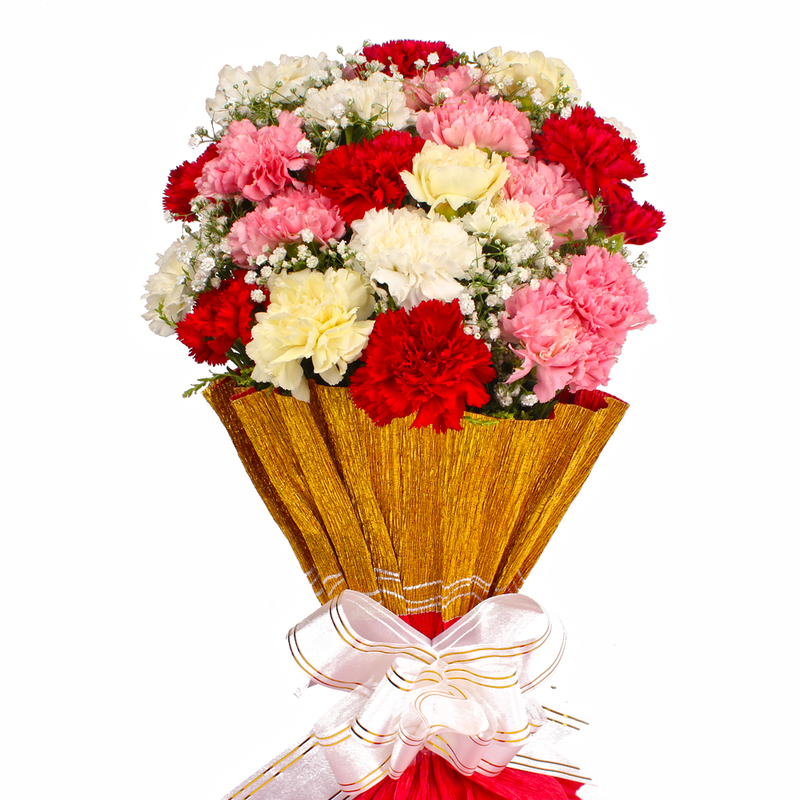 Product Consist : 22 Mix Color Roses with green fillers in Tissue Paper Wrapping with Ribbon Bow on it. 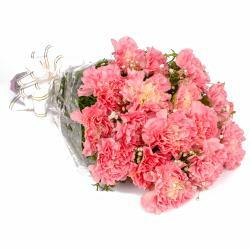 You will adore this bunch of 22 Multi Color Carnations flowers without a doubt. 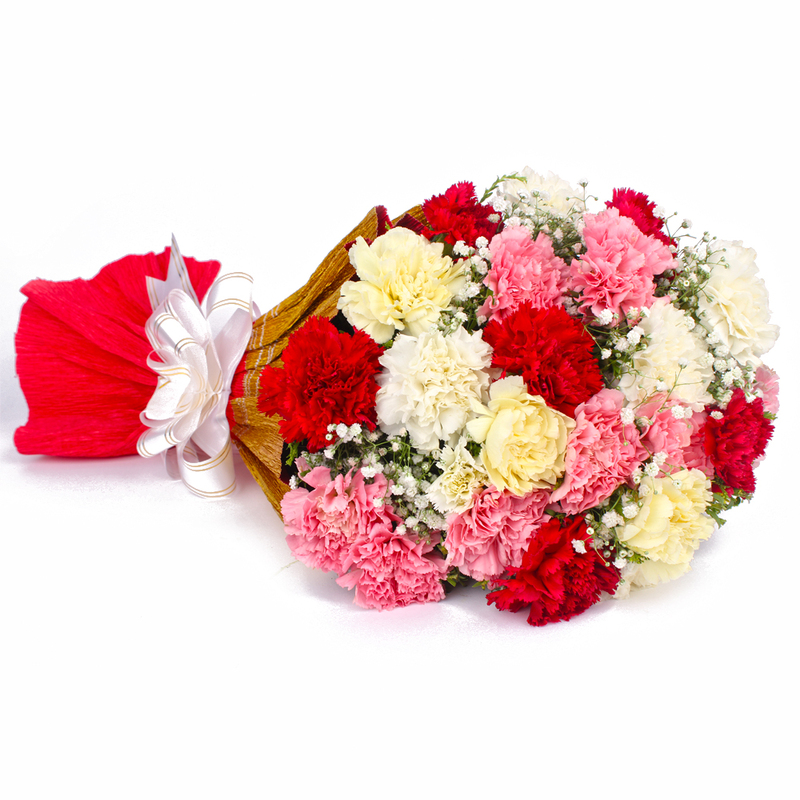 This bunch has been neatly wrapped in Tissue paper for added quality and a premium touch. 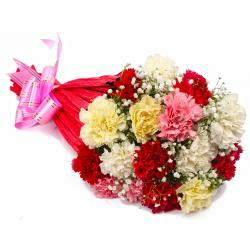 This gift will definitely be a good bet for occasions like Birthday, Anniversary, Diwali, Onam, Parents Day, Boss Day among others. 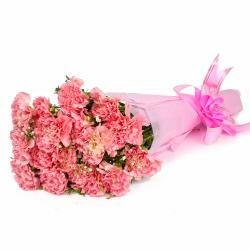 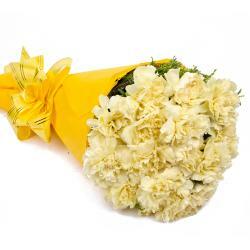 Product Contains : 22 Mix Color Roses with green fillers in Tissue Paper Wrapping with Ribbon Bow on it.